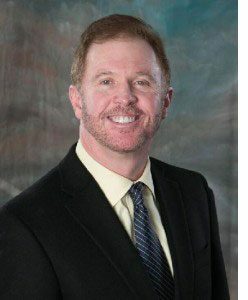 Originally from Lubbock, Dr. Thames has been practicing orthodontics in Carrollton since 1983 and is board certified by the American Board of Orthodontics. His own experience in orthodontics as a teen led him to a passion for substantially changing people’s self esteem through a great smile. Dr. Thames attended Texas Tech University, earned a bachelors degree in chemistry and graduated with honors in only three years. He then entered Baylor College of Dentistry earning his Doctor of Dental Surgery. He continued his training at the Baylor Orthodontic department where he received his Master of Science in Dentistry. During his schooling, he won the American Association of Orthodontics Senior Dental Student Award. His extensive studies produced an article on Computerized Growth Prediction which was published in the American Journal of Orthodontics. As technology advances, Dr. Thames’ goal is to progress as necessary by attending continuing education courses. Currently, he is an Invisalign® Certified Specialist and uses state-of-the-art digital technology. Dr. Thames enjoys playing golf and traveling with his wife Karie. They have a son, daughter, grandson, and a granddaughter.